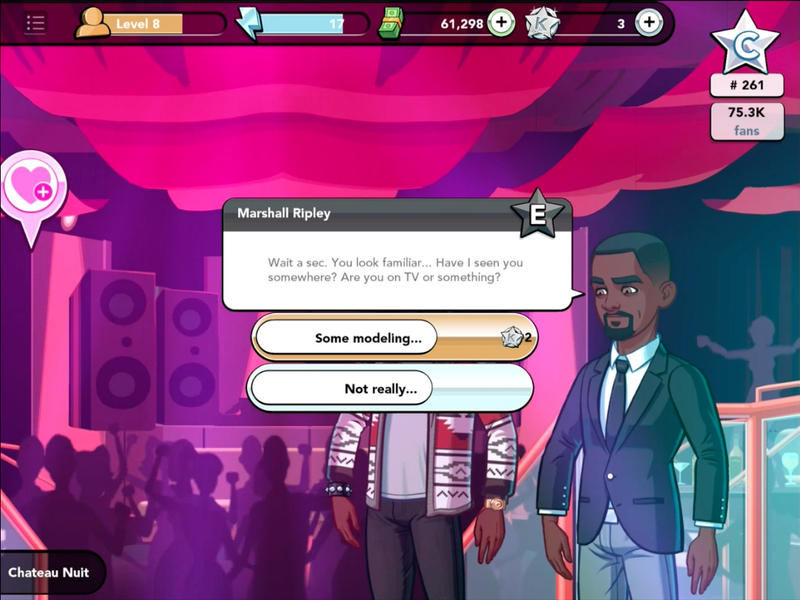 We're having a fun time with Kim Kardashian: My Hollywood on iOS and Android platforms. We're enjoying all the benefits that stardom has to offer, and made the best of our personal and professional relationships, from networking, meet and greets and photo shoots. There's a way to benefit from these interactions, especially the photo shoot. We're going to share our tips and strategies to effectively use your energy to get your face recognized on the quest to stardom. 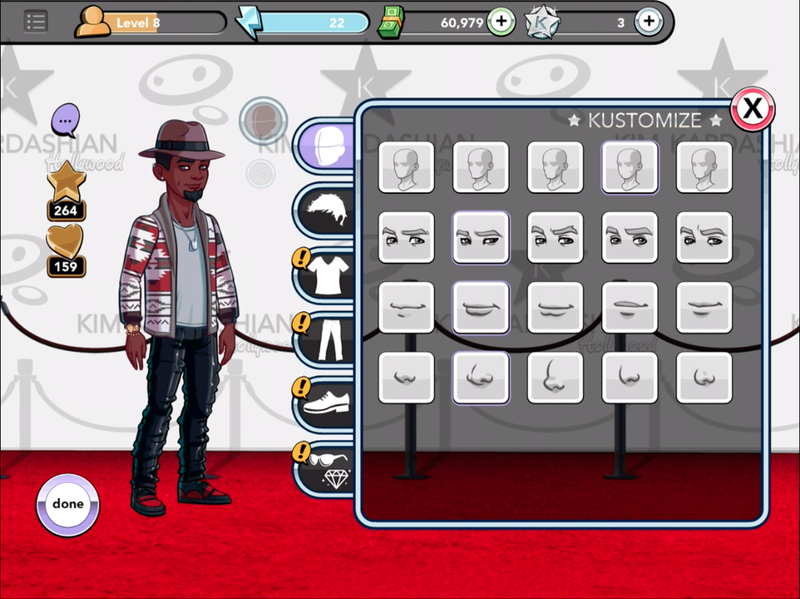 How do I get a photo shoot opportunity in Kim Kardashian: My Hollywood? If you plan on making it to the celebrity A-list, gaining recognition via photo shoots is a must. It's not enough that you have money, you have to earn the respect that comes from having your face in popular magazines. You'll need to build recognition by taking advantage of every photo shoot that comes your way. Connecting with your talent agent, Simon Orsik, on a regular basis for photo opportunities will help you climb the A-list ranks. Look at your character as a unique selling proposition, and the ability to impress and sell your talents to people intrigued by your stardom is your trump card. For example, you're trying to book a birthday party at the Chateau Nuit in Las Vegas. 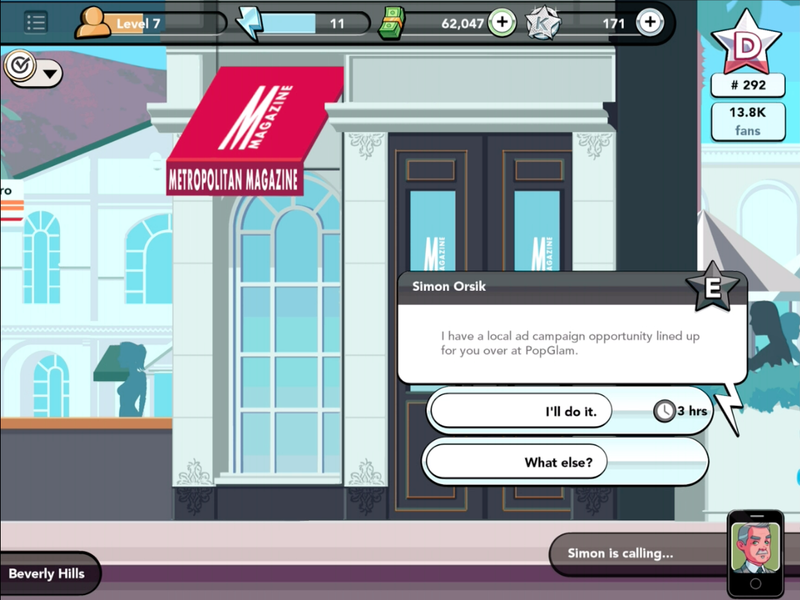 The Manager gives you a hard time, dismissing your importance as a celebrity until you school him to the fact that you've done a photo shoot in PopGlam. 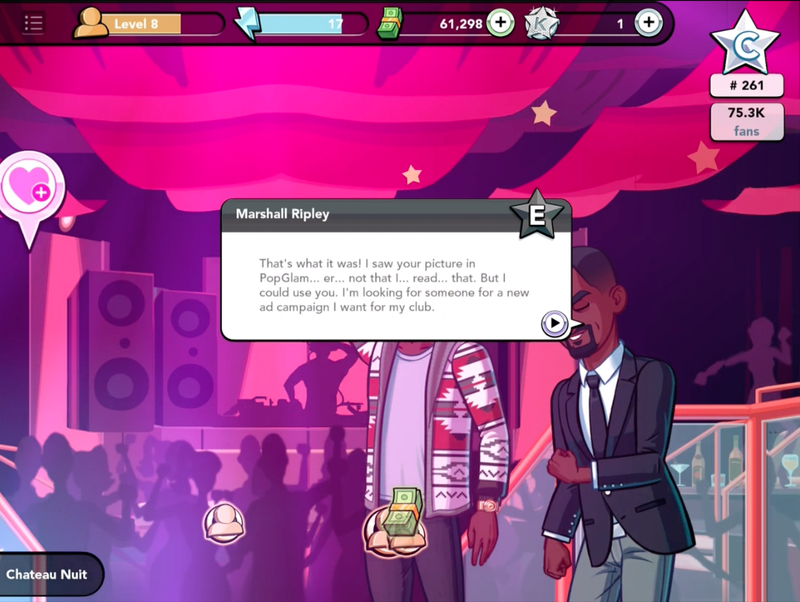 He immediately reacts to your charm and gives you a few opportunities to do an ad campaign for the club in exchange for a birthday party at the same location. 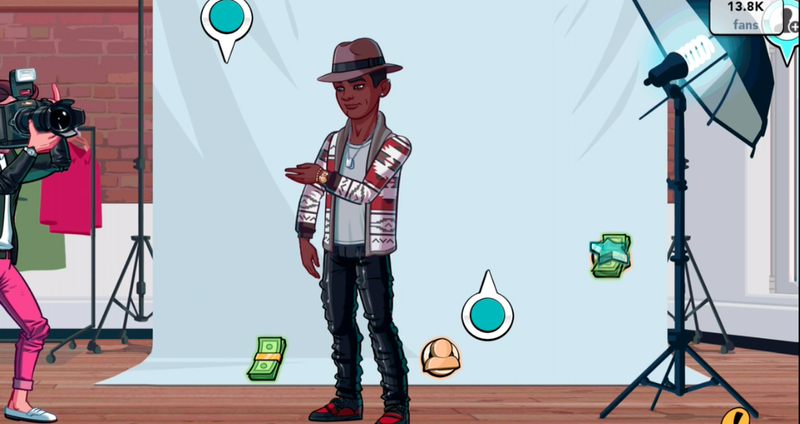 How do you make the most of your photo shoot in Kim Kardashian: My Hollywood? Getting the most of your photo shoot depends on a couple of key factors: energy and time. Having enough energy is vital for any task within the game, but it's important to walk into a photo shoot with full energy prior to starting the shoot. This will enable you to complete as many tasks as possible to get that five star rating within the time allowed. 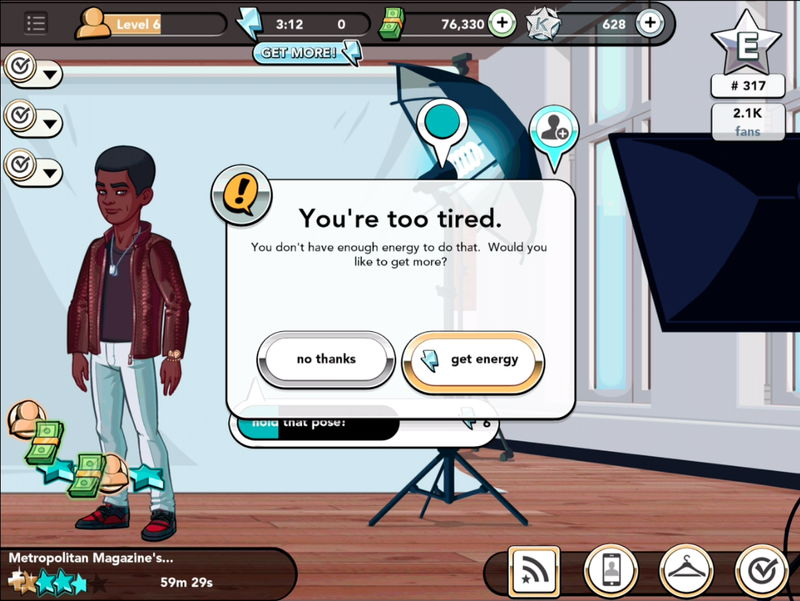 Pick tasks that you'll have enough energy to complete and will fill the star meter. If you're low on energy but close to leveling up, choose tasks like check negatives, grab a drink and check makeup to push you to the next level. Larger tasks like wardrobe change, react to wardrobe changer and hold that pose will fill the photo shoot meter quickly and award points to your spotlight achievement. If you run out of energy, take a break, but keep in mind the time remaining, as you want to complete the shoot before time runs out for maximum exposure. Make sure you change clothes before a photo shoot. You wouldn't want to communicate a lack of style, as your fans depend on you to set the latest fashion trends. Spend money to upgrade your clothes, since it has more benefits than just looking good. Every time you purchase clothing, it adds to your romantic and professional achievements; these achievements bring their own rewards with cash, charms, fans and energy. Splurging on charmed priced items will increase your achievement growth faster than cash items, and if you're about the bling, items that cost charms are the way to go. 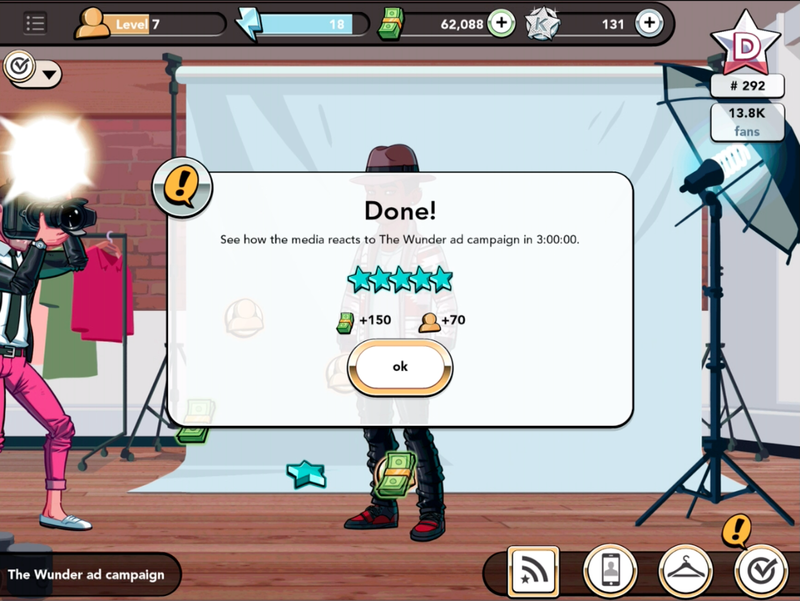 What are the benefits of a successful photo shoot in Kim Kardashian: Hollywood? Having a successful photo shoot will fast track you to stardom in many ways. Fans respond well to a good photo shoot, and getting a perfect five star shoot will bring you more fans and notoriety. Gone are the days of folding clothes at a boutique, as you'll have celebrity recognition from your magazine spreads that will create more opportunities. Now that you've reviewed this guide, you're ready to become a star at mastering the photo shoot. Work with your talent agent to achieve your stardom and make the best of the situation by filling up the star meter.